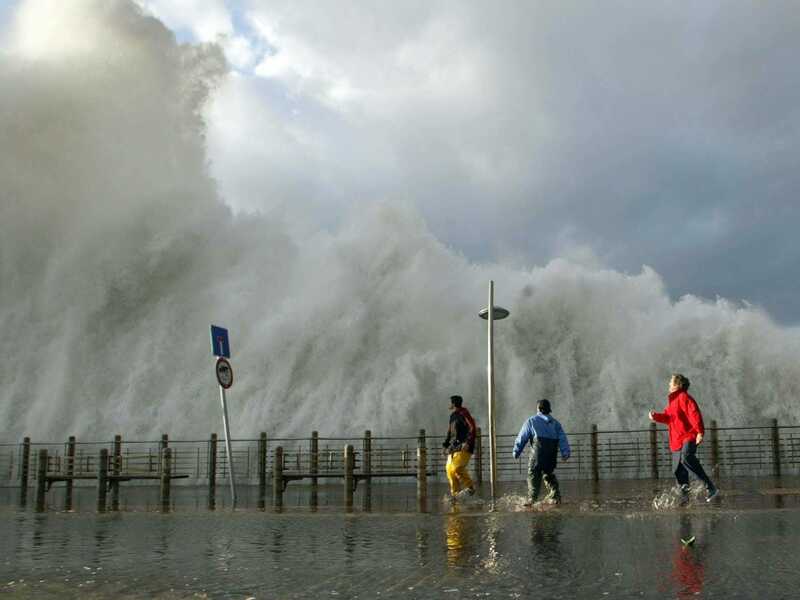 REUTERS/Pablo SanchezPeople run away from huge waves crashing onto San Sebastian’s seafront in Spain. Despite overwhelming scientific evidence that humans are responsible for climate change, debate still exists in the general public. In the United States alone, at least 15 states are currently governed by known climate deniers, and several states have taken measures to keep the best climate science out of public policy. But a quick look at the science leaves little doubt that the rising temperatures we’ve been observing for decades now are our own fault. This chart, published by the Intergovernmental Panel on Climate Change, shows two different models of climate change’s effects in different parts of the world between 1910 and 2010. Each graph below corresponds to a different region of the world and a different climate effect: sea ice cover — the white charts, temperature — the tan charts, or ocean heat content — blue. 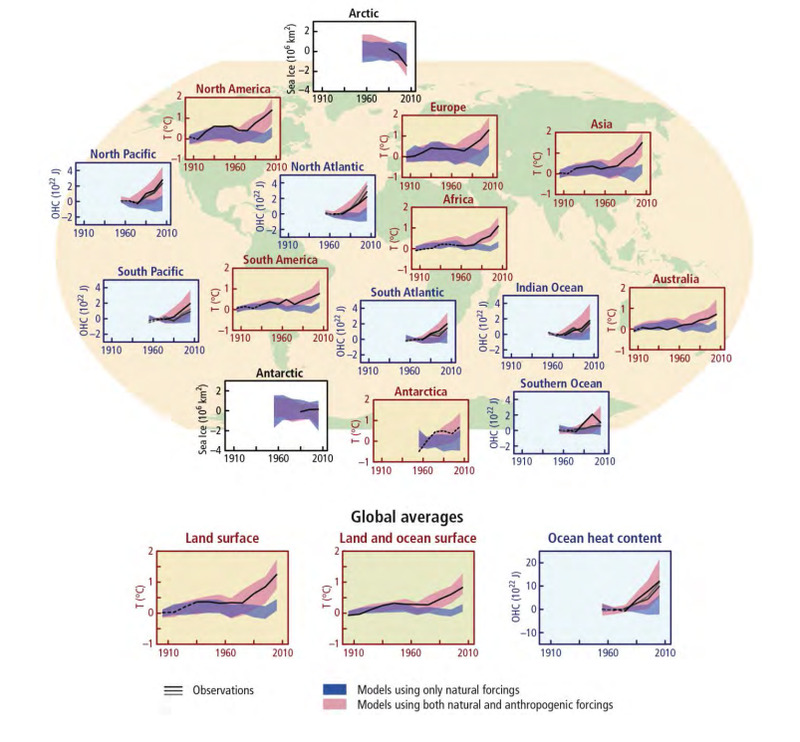 The graphs each present two models: The purple stripes are the climate changes we’d expect from including only natural events, like solar variations, in the model. The pink stripes show the changes in a model that includes human actions, like burning fossil fuels. The black lines show the effects we’ve actually observed in real life. You can see the real-life effects match up with the pink bars, which are the models that include human-actions. 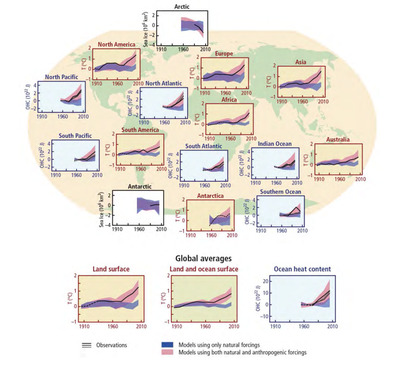 If human actions had no effect on climate, the purple stripe and pink stripe would be similar on each graph. Instead they’re different in almost every case, meaning human actions make a difference when it comes to climate change. 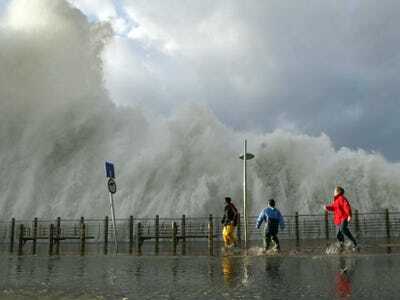 The chart was released as part of the IPCC’s fourth and final instalment in its Fifth Assessment on Climate Change, a compilation and analysis of the best and most recent climate science, conducted by thousands of researchers around the world. Charts like these show how our Earth has already changed and why we need to accept that humans are the cause — but the document also contains a wealth of projections for the future, including rising temperatures and sea levels, and provides firm recommendations on what humans need to do to prevent the most catastrophic effects from happening. Slashing carbon emissions and switching to renewable energy sources are just a few of the many actions world leaders must take, according to the IPCC — but the first step is acknowledging that climate change is real, it’s happening now, and it’s happening because of us.